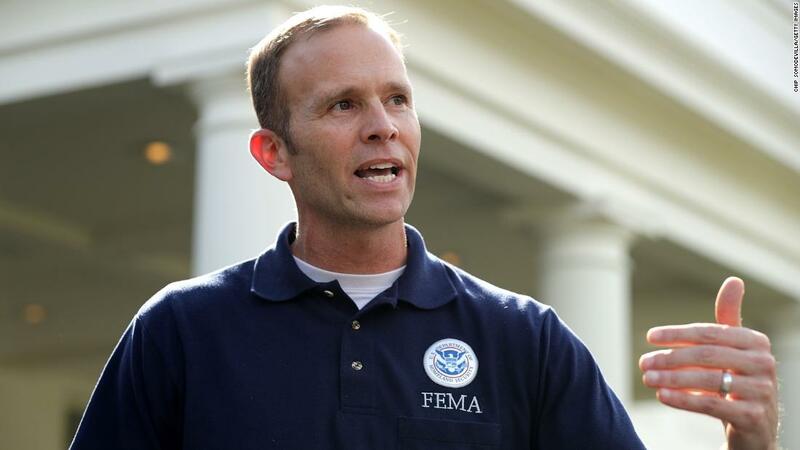 Washington (CNN) Federal Emergency Management Agency Administrator Brock Long said Sunday that he has no plans to resign amid a Department of Homeland Security probe into his travel using government resources. Politico also reported last week that there were conflicting accounts of whether Homeland Security Secretary Kirstjen Nielsen asked Long to consider resigning, with one official familiar with the meeting telling the news site that she did, but he declined to voluntarily leave his position. Long told NBC’s “Meet the Press” on Sunday that Nielsen has not asked for his resignation and that he’s cooperating with the DHS inspector general’s investigation. A senior administration official confirmed to CNN last week that there is an ongoing investigation includes, but may not be limited to, whether Long misused government vehicles and personnel for his six-hour drives between his home in North Carolina and FEMA headquarters in Washington, DC. Politico first reported the existence of the investigation. “I have never made — I would never intentionally violate any rules that I was aware of,” he added. Former Environmental Protection Agency Administrator Scott Pruitt and former Health and Human Services Secretary Tom Price resigned over investigations into their misuse of taxpayer funds for travel and other controversies.